Plastic surgery to remove wrinkles and other signs of aging from the face; an incision is made near the hair line, skin is pulled back and excess tissue is excised. Implants made out of silicone or similar materials, used to enhance certain features of the face (like lower jaw, chin, or cheek implants). 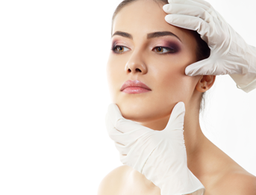 The surgery may be elective, or needed as the result of prior surgery on the face. Volume is lost in many areas of the face as we get older. 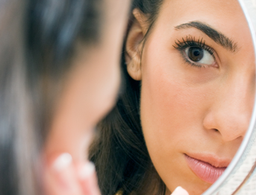 The areas that lose volume include; the cheeks, brow and lips. As the cheeks sag and lose volume, they descend from their usual high position in the face near the eyes, to a lower position. This leads to the formation of nasolabial folds (the folds from the corners of the nose to the mouth), oral commissures (the folds just beneath the corners of the mouth), and then jowls (the skin that sags beneath the jawline). Loss in facial volume leads to a more square appearance to the face. This nutrient is crucial for normal body function and without it we could not live. Fat supplies us with energy and makes it possible for other nutrients to do their jobs. Fats, which consist of a wide group of compounds, are usually soluble in organic solvents and insoluble in water. Chemically, fats are usually known as triesters of glycerol and fatty acids (triester = one of three ester chemical groups). This process involves taking small amounts of fat from one part of the body and reimplanting it elsewhere, where it is needed. It is a natural approach to restoring a youthful look to the face that does not involve removal of skin, stretching the skin or the risk of an unnatural looks that can result from a face lift. Crevices in the surface of the skin that only delve into the epidermal layer. They are less than 0.1mm in depth and may either disappear upon relaxation or be barely discernible. Fine lines are thought to be able to be reduced or eliminated without the use of invasive procedures. These compounds present in drinking water and some foods are added to toothpastes to help fight cavities. Fluoride, in combination with calcium and vitamin D, increases bone mass and lowers the risk of backbone fractures associated with osteoporosis. A relatively new method of skin rejuvenation in which the targeted areas of the skin are precisely spaced out at a microscopic level, leaving some skin perfectly intact while other zones are heat treated. The effect is visually comparable to the pixels in digital images, as the tiny spots of treated skin replace old, destroyed cells with new, healthy ones, and the untreated areas maintain the tissue's stability for quicker recovery. A laser treatment that is FDA approved for use on wrinkles around the eyes, melasma ("mask of pregnancy"), freckles, age spots, acne scars and skin resurfacing. The leading brand in fractional resurfacing remains to be Fraxel®. A specialized and computer controlled laser that removes layers of the skin’s surface, which can produce outstanding results with minimal risk. The laser can remove both superficial and medium depth lines, including some scarring, depending on the controlled depth of the ablation and the amount of “passes” the doctor will perform. The leading brand for fractional resurfacing treatments: A laser treatment that is FDA approved for use on wrinkles around the eyes, melasma ("mask of pregnancy"), freckles, age spots, acne scars and skin resurfacing. This Fraxel laser has an added new wavelength to better address pigmentation and other dyschromia on the entire body with minimal discomfort. Doctors can easily select either the deep penetrating Erbium fiber laser or the more superficial Thulium fiber laser to treat patients. These vertical lines are found between your eyebrows across your forehead. They are the result of facial muscles interacting with sun-damaged skin. The sun breaks down that matrix, leaving skin thinner, saggier and less able to regain its former, tighter contour. This term means using just the right amount of products in the Restylane® family in the appropriate treatment areas of your face to get the results you want. Round face shape with “apple” cheeks.